Spain — Barcelona coach Ernesto Valverde has warned that Manchester United “have something special at the end of games” ahead of Tuesday’s Champions League quarterfinal second leg at Camp Nou. Barca have a 1-0 lead from the first leg at Old Trafford, but Valverde stressed that United were far from out of the tie. 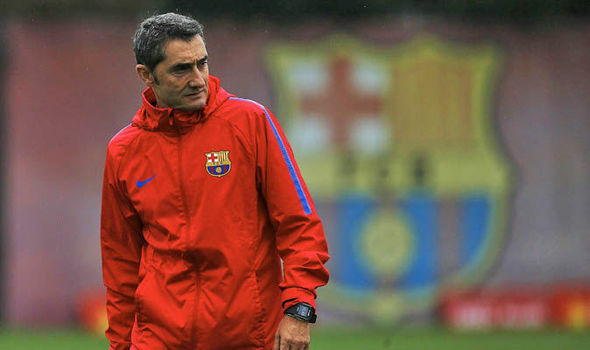 Asked what he feared about Tuesday’s opponents, Valverde said: “Their spirit — also the power and pace they have in their side. If you give them space, they’re quick and efficient. Meanwhile, Barca goalkeeper Marc-Andre ter Stegen said United faced a different challenge if they were to recover from behind as they did against Paris Saint-Germain in the previous round. United lost 2-0 at home to PSG but secured a dramatic 3-1 win in Paris to set up the quarterfinal against Barca. “The good thing is we play differently to PSG,” Ter Stegen said. “But of course United are very dangerous. The result from the first leg is equally dangerous because it’s only a small advantage. We have to keep the ball, as we always do, because that’s how we play and how we understand the game. Lionel Messi will return, having missed the weekend win over Huesca after taking a blow to the head from United’s Chris Smalling in the first leg. Valverde compared that to “being hit by a truck” but said Messi was now in “perfect condition” to play. Messi has not scored in 12 Champions League quarterfinals but the coach said: “That means he’s closer to scoring, then. It’s fine to speak about statistics but they focus a lot on the past, not on the future.” Barca have fallen in the quarterfinals in each of the last three seasons, but Valverde said there was no mental barrier among his players.